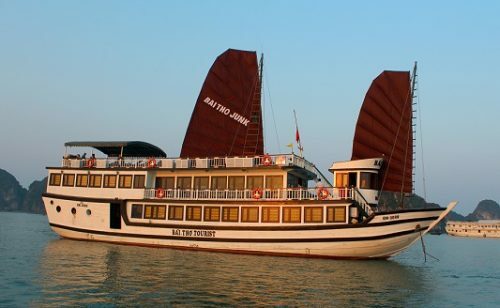 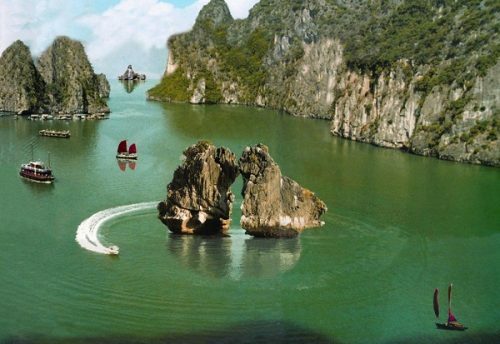 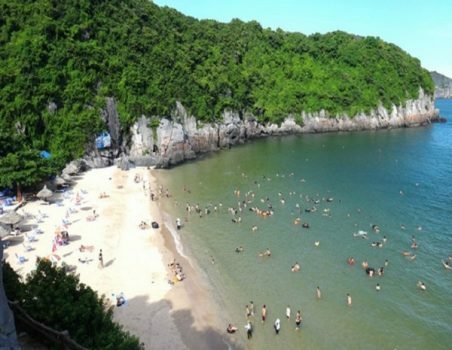 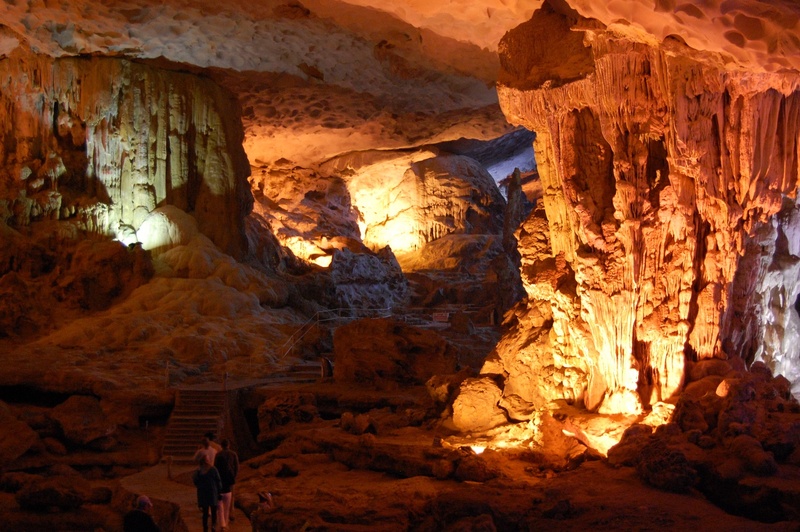 Sung Sot cave is located in the center of Halong Bay. 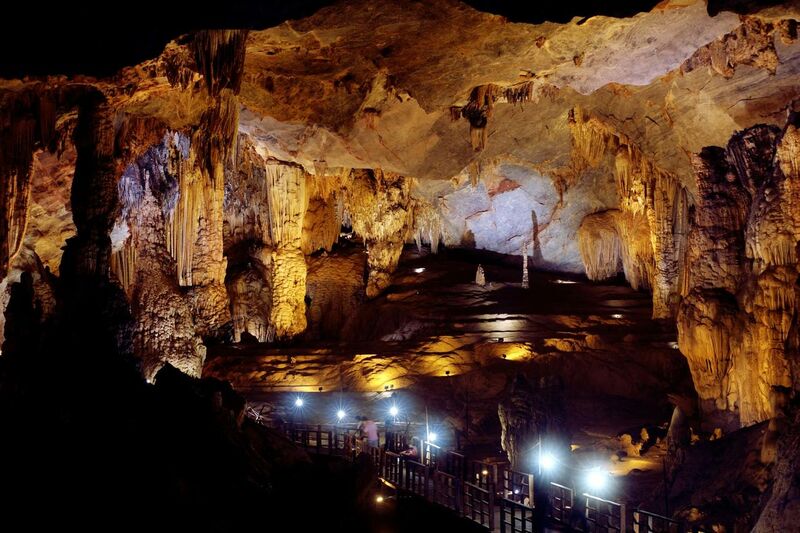 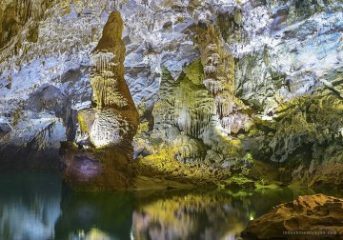 This is one of the largest and most beautiful caves in Halong. 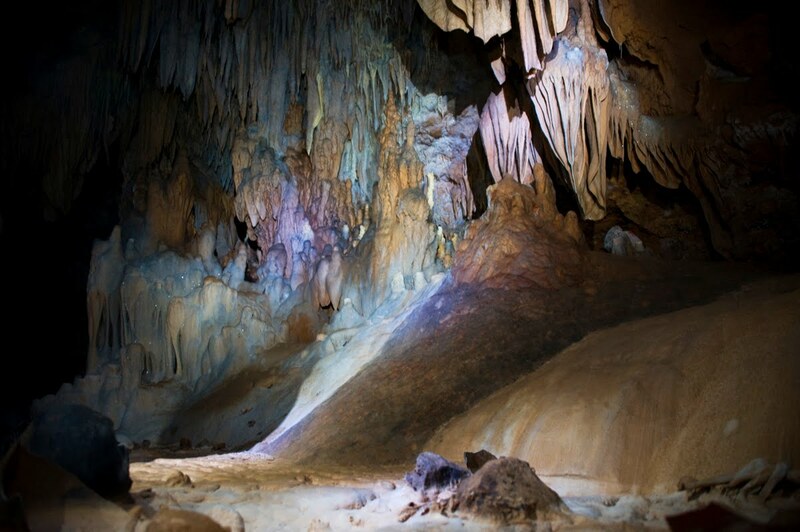 Moreover, this cave also contains many unique rocky islands whose shapes are very strange and characteristic. 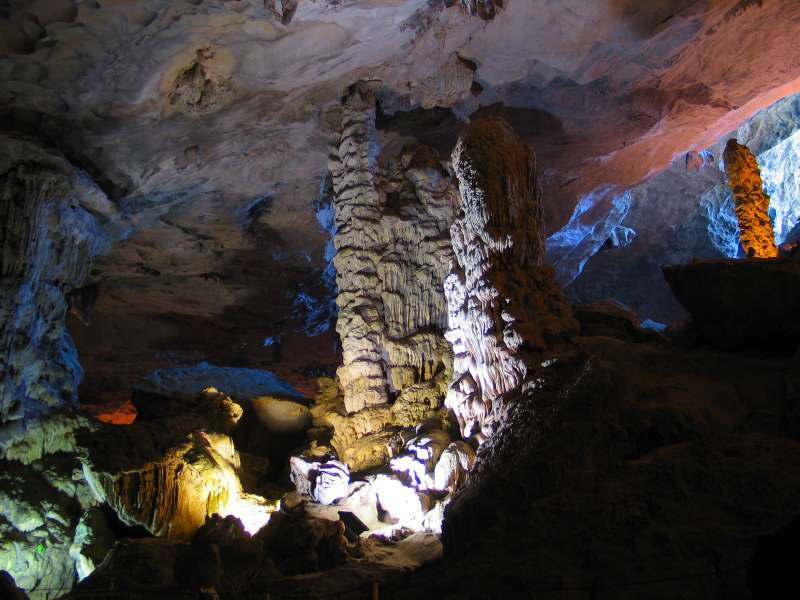 The road to Sung Sot cave is under the forest with high and dangerous stone steps. 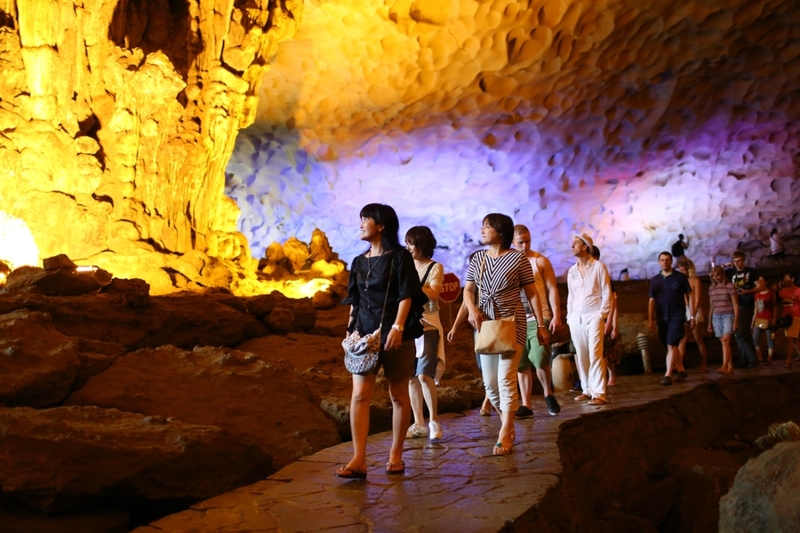 Tourists can experience the amazement of a mountain climber and excitement of a visitor.